We were discussing Basic of bearing and also various functions of a bearing during operation. We have discussed the basics and types of roller bearing in our previous post. Today we will see here the various accessories of a ball bearing in this post and further we will discuss the basics and types of ball bearings. 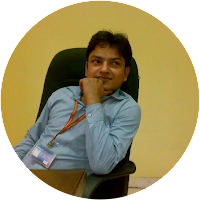 As we have discussed the various components of a bearing i.e. inner ring, outer ring, cage and rolling elements during our discussion of basics of a bearing. Ball bearings will also have these components and there will be few more accessories those are as mentioned below and normally come with ball bearing. First we will see here the snap ring. 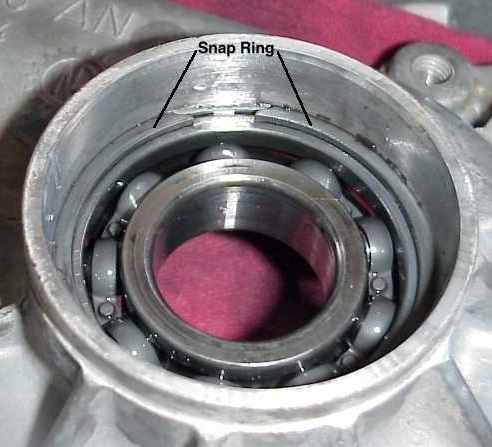 Snap rings are basically used for locating the bearing in bearing housing. 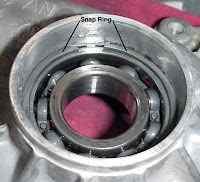 Snap ring is displayed in following figure, where we may see that snap ring is used for positioning or locating the bearing to its desired position. Ball bearings with seals are quite in demand these days in automobile sectors and in other industrial applications also. 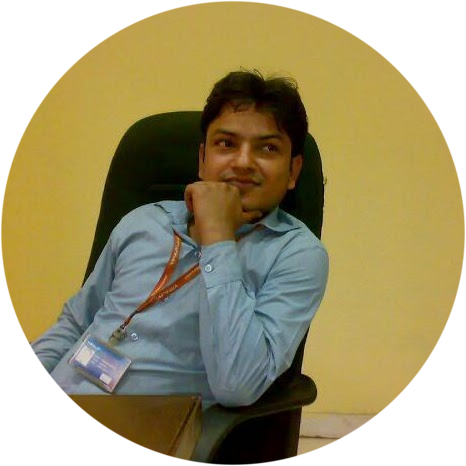 Seals are basically provided to cover the open area between inner ring and outer ring. Seals prevent the entry of dirt, dust, water or moisture and other contaminates to inside the bearing and therefore they help the bearing to work smoothly throughout its service life. Lubricant i.e. grease will be already provided in case of bearings with seals and these seals will avoid the flow of lubricant from the bearings. 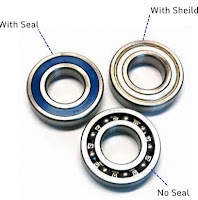 Usually there are two types of bearings with seals. First one is that where bearing will have seal on one side and second one where bearing will have seals on both side i.e. on left hand and right hand. If we have another bearing whose bearing number is 6206 2RS, in this case bearing will have seal on both sides. 2RS indicates that bearing will have seal on both side i.e. on left hand and right hand. Shields, in ball bearings, are also provided to cover the open area between inner ring and outer ring with same objective i.e. to avoid the entry of dirt, dust, water or moisture and other contaminates to inside the bearing. Shield will be attached with outer ring and there will be a clearance between shield and inner ring. In shield bearings, extra lubricant will flow through bearing. While in case of bearings with seals, flow of lubricant from the bearings will be restricted. Let us see the below figure, where we can see the ball bearings with seals, ball bearings with shields and ball bearings without seals or shields. We will discuss the ball bearings basics and also types of ball bearings in our next post.